The All-New Original Movie Is Available on DVD, Blu-ray™ Combo Pack & Digital HD Now. Have fun playing this adorable game - helping Max jump over obstacles! Be sure to share your score in the comments! Want more - then you won't want to miss the giveaway! 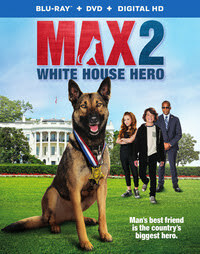 One lucky reader will win a copy of Max 2: White House Hero!! Now I really want to play the game. Am I missing it? It should be in the post but I'm seeing some thing else too. I'll check tomorrow maybe the app is down. I got a 1:13 the last time I played. I played and got it at 1 minute.